The bathroom doors in your stateroom are quite heavy and have the tendency to slam shut making a loud noise, or in some rare instances sore fingers. 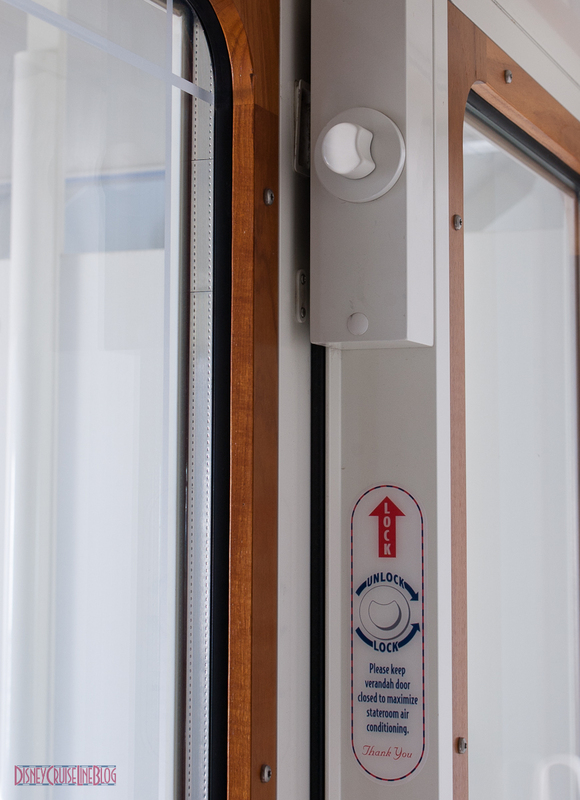 Each bathroom door is equipped with a resistance bar to prevent the door from closing uncontrollably. If you find that the bathroom door is slamming shut you can adjust the resistance bar by tightening the knob as shown in this video. If you tighten the knob all the way and you will need to push the door closed, which I personally prefer as it practically eliminates the risk of my daughter’s fingers getting smashed. Taking a few seconds to check the bathroom door tension could save you, or your little ones a trip to the medical center. Bonus tip: Sailing in a stateroom with a verandah. Make use of the lock at the top of the door to prevent your little ones from opening the sliding door when your back is turned. This entry was posted in Tips and tagged Safety, Staterooms by Scott Sanders. Bookmark the permalink. Video is marked as private and I cannot view it. Thanks for letting me know. Try now.